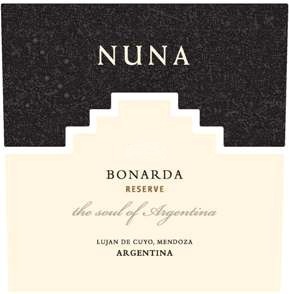 Nuna Bonarda Reserve 2013 is made from 100% hand-selected Bonarda from the best parcels of the estate. Alcoholic fermentation for 12 days with indigenous and selected yeasts, at temperatures of 26 and 30°C, combining, remontage, pigeage and delestage in order to obtain the best quality of tannins and structure. The resulting wine is aged for 12 months in French oak barrels to fully reveal the character of the Andean terroir. Purple-colored Bonarda offers a fruity, fresh nose featuring plums, mulberries and violets. Fruity, forward and easy-going, Bonarda is the perfect match to Argentine bistro cuisine.